Decades of research into learning have demonstrated that learners are diverse, changing, and adaptable. In this regard, the practice as educators must become flexible and adaptive to meet the wide variation of learning needs. A general consensus exists among educators, businesses, and other stakeholders that there is a significant gap between the knowledge and skills needed for success in life and the current state of education in schools throughout the world (The Conference Board et al., 2006). The internet, social networking, and distance education have created learners with a different set of characteristics, incoming skills, needs, desires, and goals. To meet the learning challenges of the 21st century, instructors must serve as catalysts of change by encouraging classrooms of open dialogue and developing the ability to effectively and efficiently use online communications. Through the process of learning from one another through problem-based activities, students and instructors improve the student-instructor relationship, encounter challenges, and solve them collaboratively. Self-directed learning (SDL) has been strongly encouraged in the digital society (Siaw, 2002). Conrad and Donaldson (2004) asserted that success in distance education depends on the use of learning strategies that support the development of self-direction. 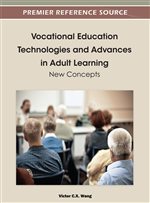 It is critical to understand the importance of self-direction due to the increasing prevalence of distance education for university work, non-degree training, and skill enhancement intended to retool workers reentering — or transitioning into — the labor market. In order to benefit from these online courses, students should possess at least some minimal level of readiness for SDL (Dynan, Cate, & Rhee, 2008). Although students vary in their desires for autonomy and guidance (Magolda, 2007), self-directed learning develops autonomous learners able to control and take responsibility for their own learning (Ng, 2008). Yet, the physical absence of an instructor and increased responsibility of learners to effectively engage in learning may present difficulties, particularly to those with low self-regulatory skills (Lee, Shen, & Tsai, 2008). With the development of new technologies, learners are gaining the resources to pursue their own learning agendas. This experience is much more powerful, and significantly benefits society when learners decide to learn for themselves (Collins, 2006). Distance education should be student-centered, mainly moving learners from dependency toward self-directedness (Richards, Dooley, & Lindner, 2004). Shokar, Shokar, Romero, and Bulik (2002) found that a learner’s level of self-directness increases as their level of education increases. Self-direction depends on one’s levels of psychological and social maturity, as generated by the assumption of adult life roles, as well as one’s internal or external locus of control (Knowles, Holton, & Swanson, 1998).